There were no upsets along the road to the Super Bowl this year, as the top seed from the AFC will meet the top seed from the NFC. It's the Patriots offense versus the Seahawks defense. It's Seattle trying to win back to back Super Bowls since New England did it in 2004 and 2005. It's the Seahawks ground and pound offense against the Patriots aerial assault offense. And it looks to be one of the best Super Bowl matchups in recent years. So lets take a closer look at the New England Patriots and the Seattle Seahawks. The key to Seattle's Super Bowl run the past two seasons has been their running game. Marshawn Lynch leads the 2015 post-season with 216 rushing yards to follow up on a regular season where he rushed for 1,306 yards. Quarterback Russell Wilson is dangerous on the ground and through the air. Wilson passed for 3,475 yards during and rushed for another 849 yards. But in the post season, Wilson's numbers haven't been as good. He's passed for 477 yards and thrown 4 touchdowns in two games...but he's also thrown 4 interceptions and has only rushed for 14 yards in those games. Wide receivers Jermaine Kearse and Doug Baldwin have come on strong in the playoffs after posting pedestrian numbers during the regular season. Kearse is 4th in the post season with 164 yards receiving, and has also scored 2 TD's. Baldwin has caught 9 passes for 144 yards and scored once as well. For the Patriots, their recipe for winning over the past 12 years has been all about Tom Brady. Brady has the second most post season passing yards with 593 and has thrown 6 touchdowns against 2 interceptions. 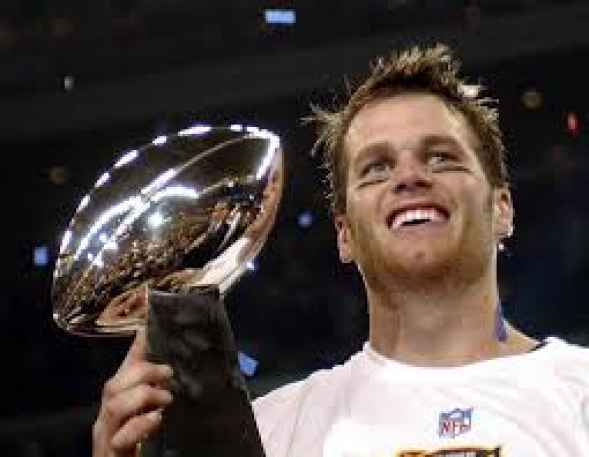 That follows a regular season where Brady passed for 4,109 yards and 33 TD's and just 9 interceptions. Brady's top targets have been TE Rob Gronkowski and WR Julian Edelman. Edelman has caught 17 passes in 2 playoff games for 172 yards. Gronkowski has 10 catches for 136 yards and 2 TD's in those games. This follows a regular season where Gronkowski led the Patriots with 82 catches for 1,124 yards and 12 TD's. Edelman had 92 grabs for 972 yards and 4 scores during the regular season. The ground game has been led by the returning LeGarratte Blount. After being released by Pittsburgh, Blount took over the starting role in New England and has rushed for 149 yards and scored 3 touchdowns so far this post season. This will be a matchup of one of the NFL's top offenses versus it's best defense. The Patriots average 29.3 points per game, which was 4th best in the league. Seattle's defense gives up an average of 15.9 points against, which is the league's best total. The Seahawks also had the top defense in yards against per game as well. The Seahawks were also third against the run, giving up just 81.5 yards against per game. Both of these teams come in having rebounded big time from early season struggles. Seattle was 3 and 3, but won 9 of its last 10 regular season games, and held opponents to less than 10 points in 6 of those games. The Patriots won 10 of their final 12 regular season games after starting the season 2 and 2. New England also scored 40 or more points in 5 of those games. New England has scored 90 points in their 2 playoff games, while Seattle has allowed 39 points against. One key of this game will be the health of Seattle's best two players in the secondary, Richard Sherman and Earl Thomas. Sherman sprained his left elbow in the NFC Championship, while Thomas is playing through a separated shoulder. The Patriots may have to play without their starting center again. Bryan Stork suffered a knee injury against Baltimore and missed the AFC Championship. His status is uncertain for the Super Bowl. This will be the first meeting between these teams since the 2012 regular season, a game won by the Seahawks in dramatic fashion. Then rookie QB Russell Wilson threw the game winning touchdown pass with 1:18 left in the game. But that game may be remembered more for Richard Sherman taunting Tom Brady after the game, then putting a picture of it on Twitter with the infamous caption "You Mad Bro?" This looks to be a very even matchup that has the potential to be one of the best Super Bowl games ever. Let's hope that's the case and it lives up to the hype. Remember last years matchup pitted the top two teams in the NFL against each other, and Seattle pounded Denver 43 to 8. It doesn't have to be the best Super Bowl ever, but let's hope it's better than last year was.